Captain Marvel and Avengers Infinity War 2 have both finished filming. So presumably he would have done cameos in them. Avengers 4 cameo (and presumably Captain Marvel) was already filmed. Source here. 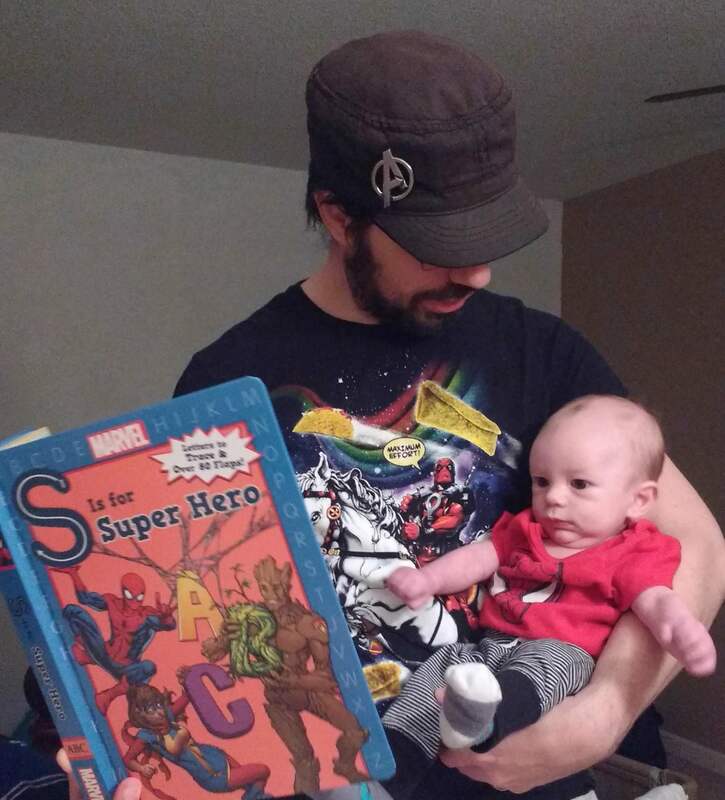 In honor of Stan's legacy, I read Marvel's "S Is For Superhero" alphabet book to my 3 month old last night. He was actually really into it... more than any other book I've read to him before. Stan Lee will be missed. There are elements about him that are troublesome (a sexual harassment allegation that bubbled up a year or two ago, the fact that he was pretty negligent in standing up for his peers) but I still can't not love Stan, despite his flaws. He was just an incredibly charming dude and while it is unclear EXACTLY how much of the Marvel Universe he made up, I feel like his attitude still runs through the DNA of Marvel in a good way. He was CG in Big Hero 6. I'm still surprised we never got a sequel to that. A while back I got the kindle book of The Infinity Gauntlet... here's the thing, I very rarely ever power on my tablet. Even though ebooks are the only thing I use it for I just don't like reading books on it. This is one of those situations I've talked about before where I would much rather have the actual media in hand. I remember about 3 or 4 years ago I actually had the Infinity Gauntlet book that I bought from Amazon and like a damn fool I traded it in... one of these days I will need to buy it back. I thought he didn't have anything to do with creating Deadpool? Correct. 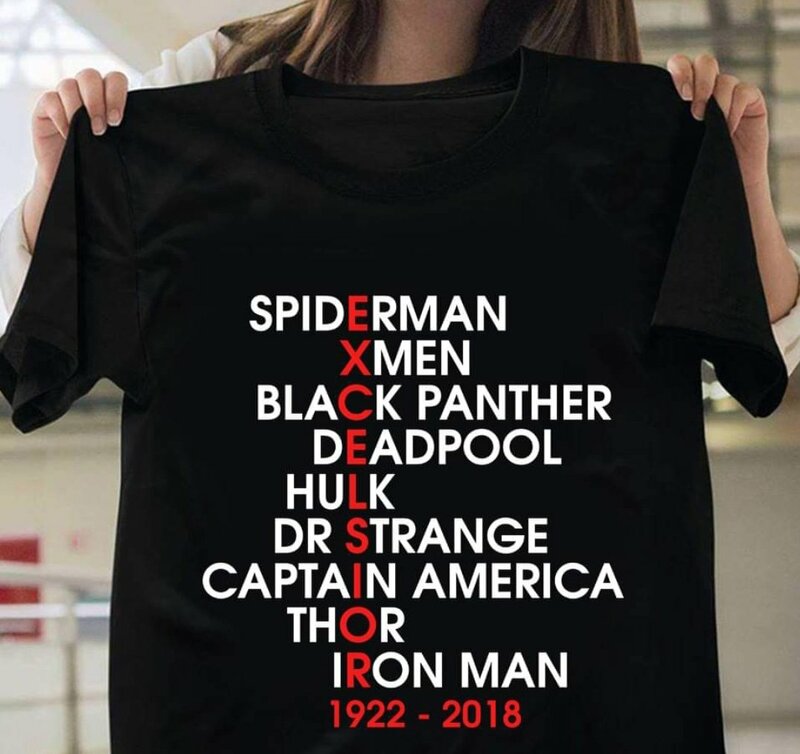 Also, did you know that other superhero names start with e? He didn't create Captain America either but he wrote Cap stories (including some very early ones) at least. Also, NO Fantastic Four? This shirt owes me a "no prize". That's a pretty big deal for a good price. I hope they are encouraged to start translating some older stuff. I understand why Kinnikuman might not be high on their list of priorities (the art in the first few years is pretty amatuerish) but I love it. It took me a week but I finished all 41 chapters of Stray Bullets (the Uber Alles editon. Haven't gotten to Sunshine and Roses or those other series). Mostly, I liked it. Very interesting noir stories. The first few chapters are extremely bleak but while I definitely wouldn't call the stories that follow happy-go-lucky (especially the Dark Days arc) but there is much more humour to it afterward (especially the "Amy Racecar" chapters). It doesn't all age well (gay representation is limited exclusively to sociopathic bullies), but despite it's faults, Virginia Applejack is a great noir character. My one disappointment is that you'd think with so much time, Ginny mom or sister might get more depth than being awful, but they never really do. I also liked the last chapter of the Derring-Do! arc, but it does feel, relatively speaking, designed to be a bit of crowd-pleasing bit of catharsis to potentially end the series. Will get to the more recent arcs someday. Next, I'm going to read one of my Christmas gifts, a Josephine Baker comic biography. Looking forward to it.